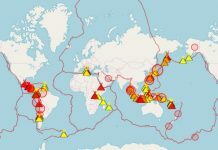 Everyday we find new signs of volcanic unrest across the world. 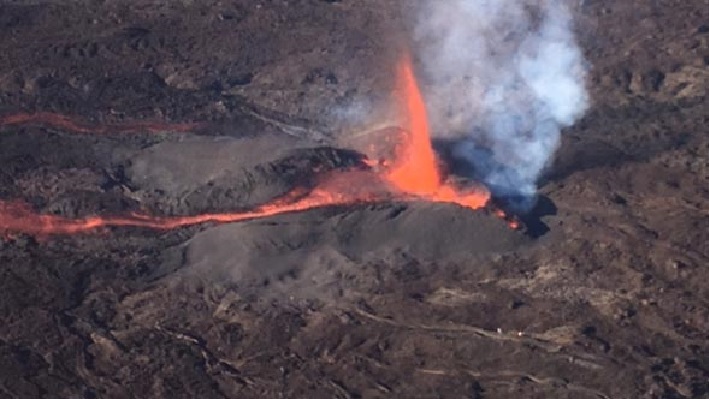 The Piton de La Fournaise (Réunion island) exploded for the first time in 2017 on January 31, 2017, while a volcanologist discovered unexpectedly a new underwater volcanic eruption in the Archipelago of Tonga studying satellite images. After signs of agitation at the end of January, a seismic crisis was triggered on the January 31, 2017 at 3:22pm, justifying the passage on alert 1 / probable or imminent eruption. Volcanic tremors and surface magma have been observed since 7:40 pm and consequently, the Orsec-volcano plan was changed to alert 2-2 / eruption in progress. 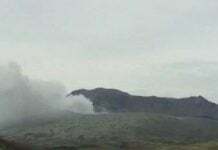 Access to the Enclos Fouqué and helicoper flybys in the area of ​​the volcano are prohibited. First images of the webcam of Piton de Bert suggest two active vents and the glow of a lava flow. 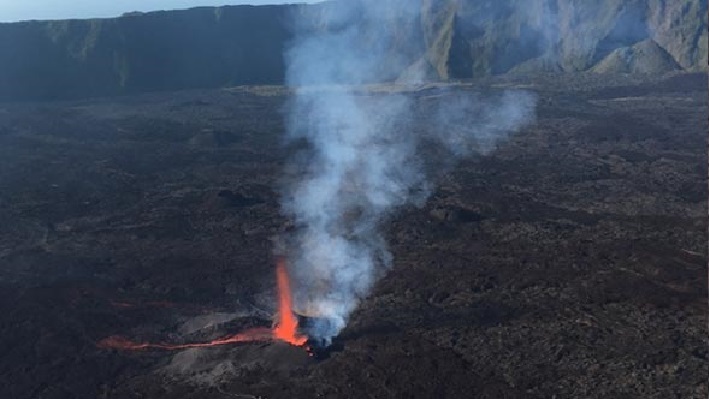 New morning images show an active zone downstream of the crack characterized by several 20-30 meter lava fountains, located at 1,100 meters at the SSE of Château-Fort. The height of the eruptive vent is estimated at about ten meters. 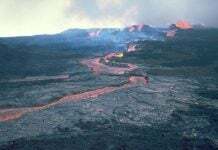 The lava flow, which has already covered a distance of 600 to 750 m, has several arms. Cracks that opened up at the beginning of the eruption are no longer active, but remain marked by fumaroles. 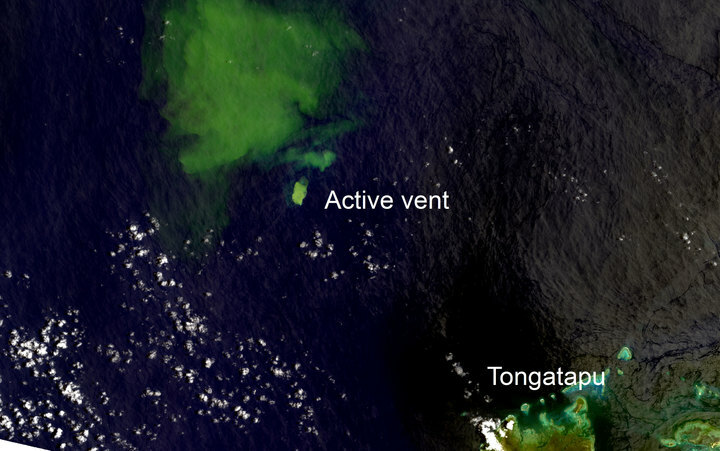 An underwater volcanic eruption in the Tonga archipelago has just been discovered by geomorphologist Dr. Murray Ford of the University of Auckland while scanning satellite images. The scientist was using satellite imagery to track the evolution of an island of ash and fragments of rock created by an eruption in December 2014 / January 2015 for the last two years. 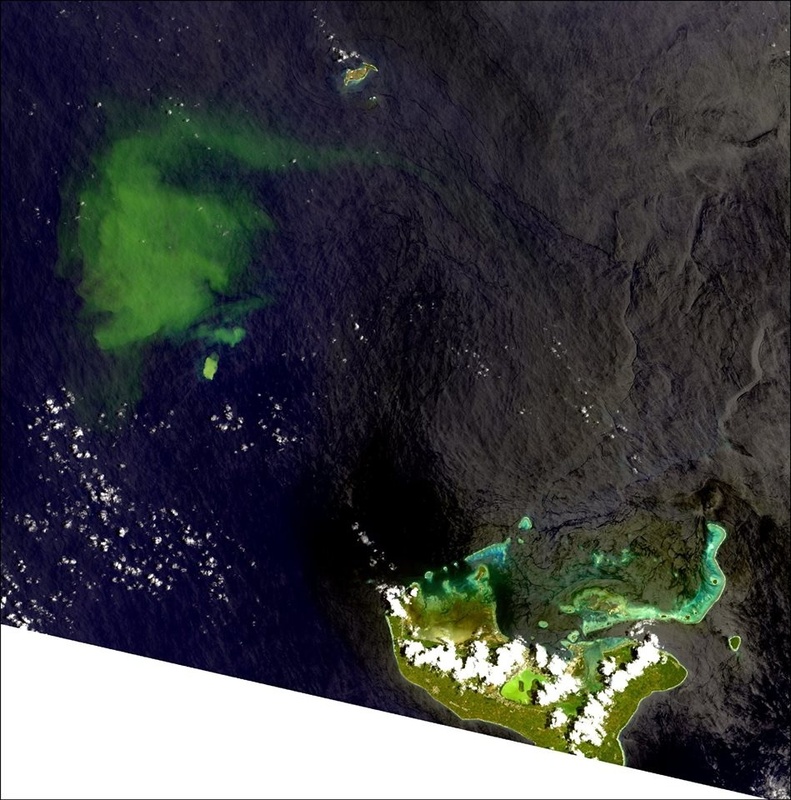 During an image digitization on January 31, 2017, he observed a large plume of 30 km by 20, not far from the formed island and only 33 km from Tongatapu, the main island of Tonga. The plume appears to originate from a place that was the site of eruptions in 1911, 1923, 1970, and 12.1998 / 01.1999. According to the scientist, the NASA EOS-Aura satellite did not detect any volcanic gas signature in the atmosphere … but underwater volcanic eruptions are often detected a moment after the event.